San Chaung Lay is located in the Ayerwaddy Region, about 30 miles south of Pathein, near the Pathein River. 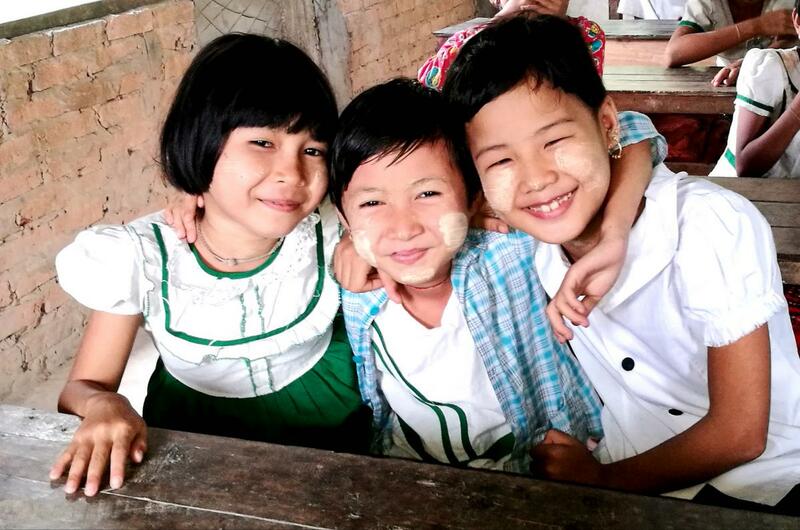 Its population of 386 comprises mostly ethnic Karen with some Burmese. Both Christianity and Buddhism are practiced. Until recently, there was only a primary school to serve the children there and those from small surrounding villages. Without a high school, when the students completed primary grades, there was no way for them to continue their schooling. The people are generally poor farmers, getting by on “daily wages,” and were not able to raise money on their own for a secondary school. 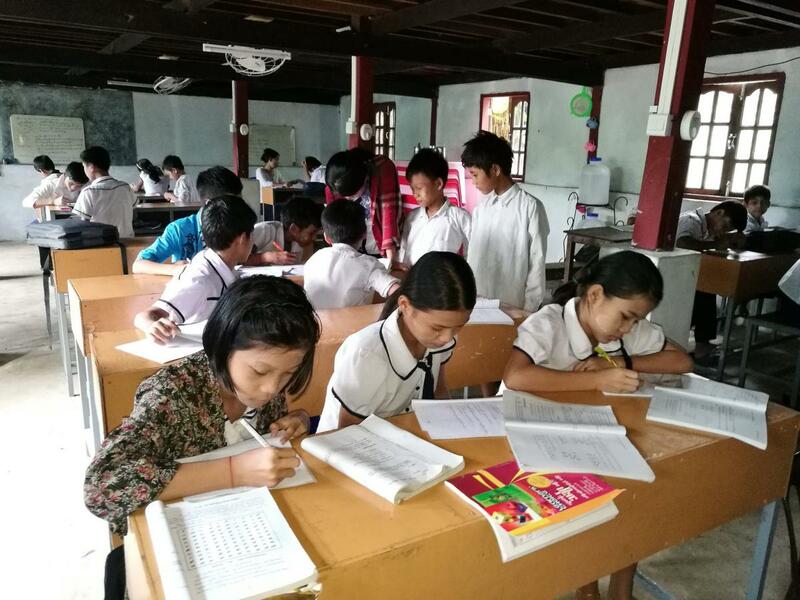 A local church group, Myanmar Union Adventist Seminary (MUAS), began offering secondary school classes in their meeting hall. But there was no place for learning materials, blackboards, room dividers, desks -- all of the things needed to make a school. MUAS asked BSB for help. BSB, in partnership with MUAS, helped to modify and expand the existing building to make space for the secondary school, in a safe environment that was conducive to learning. Work was successfully completed in July 2015. The local children of any religion, ethnic group, or financial status, can now continue their education here. A solar power system was implemented in June 2017 that provides power for lighting, computers and mobile phone charging. 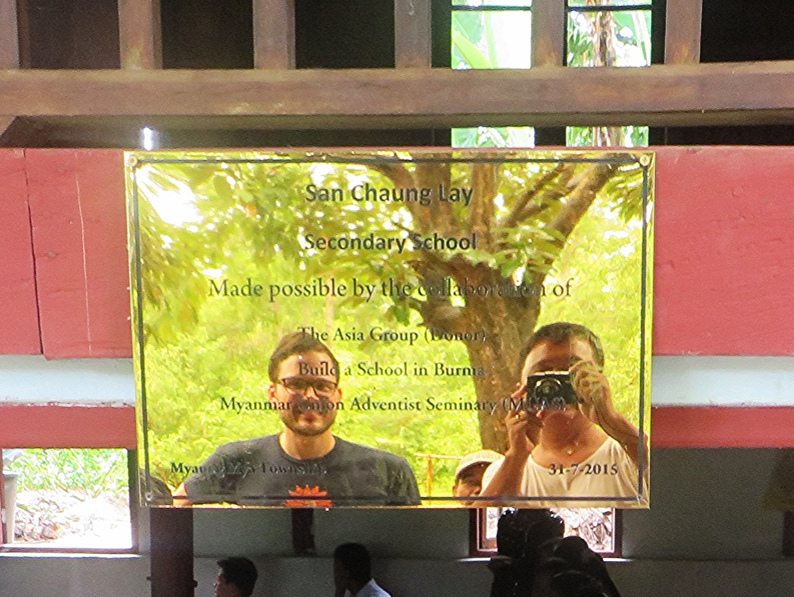 BSB and the families of San Chaung Lay gratefully acknowledge The Asia Group for making this school possible. Working with the Myanmar Union Adventist Seminary, BSB helped the villagers build a middle school. 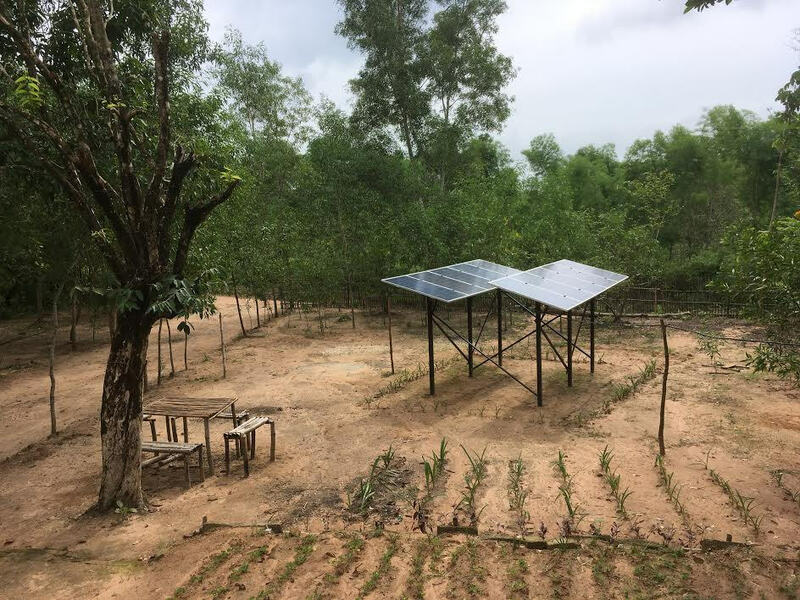 BSB also provided a solar electricity system for the middle school and the government primary school. San Chaung Lay Secondary School Working with the Myanmar Union Adventist Seminary, BSB helped the villagers build a middle school. BSB also provided a solar electricity system for the middle school and the government primary school.